The all-new 2017 Hyundai Elantra ECO arrives, featuring a bold aerodynamic design, modern interior styling with class above features, and a number of user friendly technologies. The new Elantra ECO projects confidence with sculpted body forms complemented by smoothly contoured lines that reveal the underlying inspiration of Hyundai designers. Inspired by the concept of dynamic precision. For 2017, the Elantra Eco shares the same bold aerodynamic design and signature hexagonal grille with the rest of the Hyundai Elantra lineup, but distinguishes itself with an Eco badge and unique 15-inch alloy wheels. Standard vertical LED daytime running lights add a distinctive front light signature along with thoughtful door handle welcome lights for improved visibility at night. The Eco also includes Elantra’s hands-free Smart Trunk, allowing drivers to conveniently open the trunk if their hands are full by simply approaching the rear of the vehicle with the key fob in a purse or pocket. An audible beep will sound three times, and the trunk will automatically open, making it easy to place items in the cargo area. 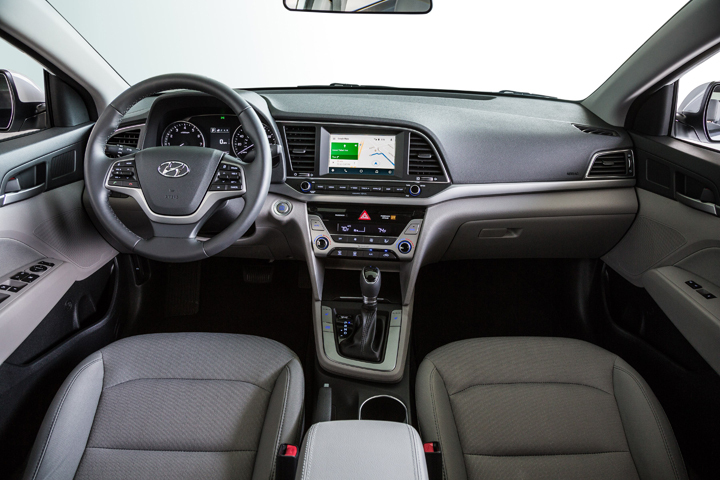 On the inside, the Elantra Eco’s driver-oriented design provides class above interior roominess, high quality materials and premium technology features for intuitive control. The Eco prominently features a 7.0inch Display Audio touchscreen system with rearview camera and includes Apple CarPlay and Android Auto support for the connected driver. These smartphone integration options prevent driver distraction by providing seamless and intuitive operation of the most commonly used compatible smartphone functions including app-based navigation, streaming audio, voice-controlled search capabilities, plus any approved smartphone apps. Additional premium convenience features for the Eco include proximity key with pushbutton start, heated front seats, dual automatic temperature control, and a leather-wrapped shift knob and steering wheel with audio, cruise and phone controls. 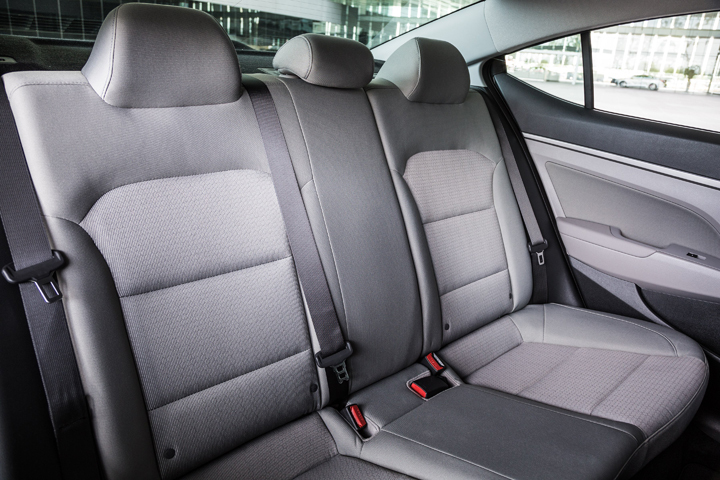 Equipped with a standard seven airbag system including a new driver’s knee airbag, Elantra’s ECO safety performance is reinforced through its rigid chassis composed of 53 percent advanced high-strength steel and a 40-time increase in structural adhesive application, also providing significant improvements in vehicle ride and handling, quietness, durability and driving performance. The Elantra Eco provides additional driver assistance with standard Blind Spot Detection with Rear Cross-traffic Alert and Lane Change Assist, further enhancing the vehicle’s safety in helping drivers to prevent accidents. 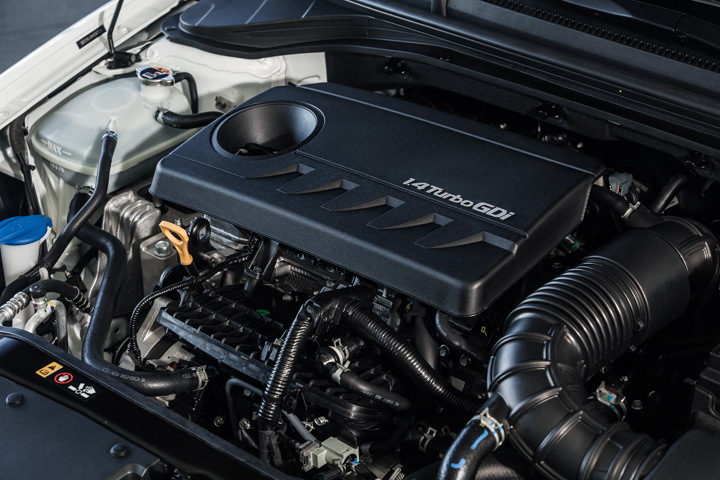 Exclusive to the Elantra Eco is an all new efficient 1.4liter Kappa turbocharged GDI 4cylinder producing 128 horsepower at 5,500 rpm and a robust 156 lbft. of torque at a low 1,400 @ 3,700 rpm. This engine is mated to a new seven-speed EcoShift dual-clutch transmission providing dynamic and efficient driving performance through its optimized gear-ratios and seamless shifting. 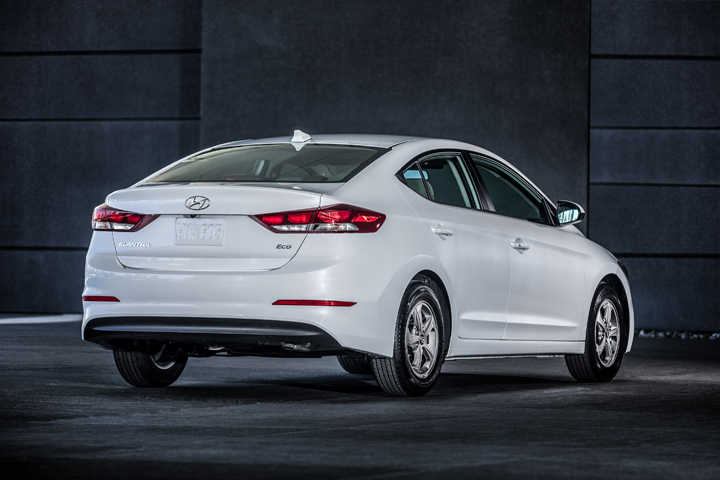 With this innovative powertrain, the Elantra Eco delivers an impressive 35 mpg combined, 32 city and 40 mpg highway on regular unleaded gasoline. An integrated cylinder head and exhaust manifold help to improve fuel economy at higher engine speeds, while an optimized straight intake port increases tumble flow for fast combustion, suppressing knock tendency to further enhance efficiency. In addition, all Elantras are equipped with a new Drive Mode Select feature that adjusts both powertrain performance and steering effort, allowing the driver to customize the driving character by selecting from three modes: Eco, Normal or Sport, simply by touching a button on the center console. 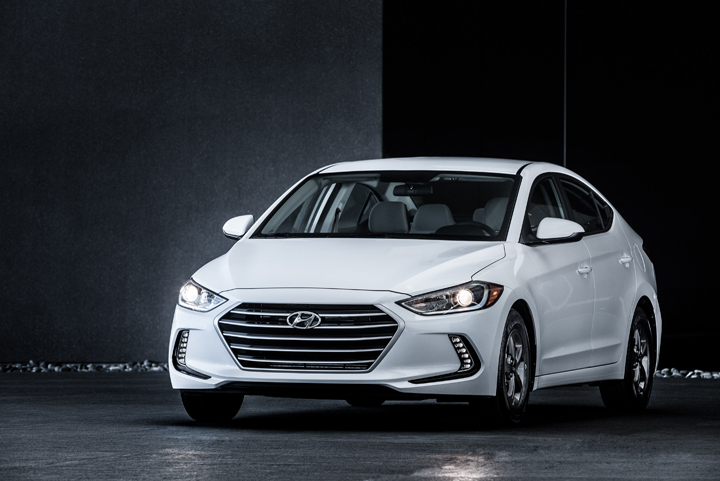 As one of Hyundai’s all time best-selling models, the new Elantra enters its sixth-generation building on the momentum and success of its proven award-winning formula and strong value proposition by offering a bold aerodynamic design with sophisticated styling. 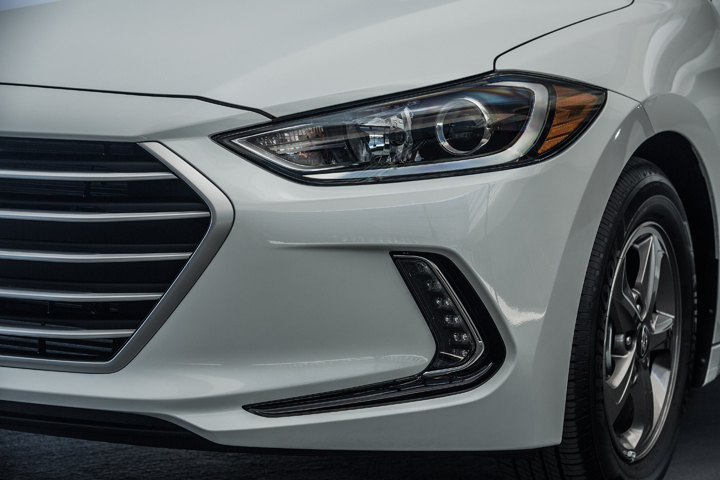 The Eco is an all-new trim for Elantra that offers consumers enhanced fuel efficiency with a 1.4 liter turbocharged and direct injected powertrain combined with standard high-demand features such as Blind Spot Detection and a 7-inch display audio system with Android Auto and Apple CarPlay support. The manufacturer’s suggested retail price starts at $20,650.00, the one I drove included Carpeted Floor Mats, and it came at $21,610.00 including inland freight and handling. Posted in CAR REVIEWS, Hyundai.